"TDB" became Law in New Jersey State in 1948. Minimum is as follows: Benefit eligibility criteria that are based on the State minimum hourly wage of $8.85 per hour in 2019. 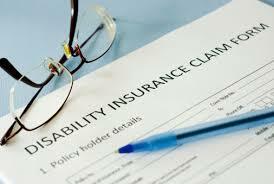 However, the amount of earnings required to establish a base week in order to be eligible for temporary disability benefits under regular criteria will increase to $172.00 in 2019, while the amount of earnings required in those cases in which a claimant has not worked 20 base weeks will stay at $8,600. Employees cannot be asked to contribute more than under the State Plan. For 2019, the contribution rate is 0.17% of the first $34,400 (taxable SUTA wage base) earned in a calendar year. Currently, the maximum contribution amount per employee is capped at $58.48. All New Jersey employers covered by the Unemployment Compensation Law are also subject to the Temporary Disability Benefits Law with the exception of certain government entities. The "Base Year" is the 52 weeks immediately before the week in which the disability began. Only covered wages earned during the base year period can be used in determining a claim. Where you live has no bearing on whether you can receive disability benefits. The most important eligibility requirement is that you worked for a New Jersey covered employer.